I’ve read a couple of novels by Mark Greaney under the Tom Clancy line (co-authored I suppose). They were decent, but they suffered from the usual Clancy tropes of over-explanation, scenes that could have been cut because they didn’t add to the story, etc. So I didn’t much wonder how Mr. Greaney would do solo. The Gray Man, it turns out, is far and away better than the co-authored works. Unlike the Clancy stories, The Gray Man works because it’s completely focused. There is one main character and most of the action centers around him. Scenes away from the main character are short and to the point, establishing protagonists and their motivations and giving the reader additional color to enhance the main character’s own motivations. The protagonist has one goal and he barrels relentlessly towards it as obstacles are thrown his way, one after the other. The plot is also simplified. It’s a chase, pure and simple. The Gray Man is a burned CIA agent currently working in the private sector. He’s as much an anti-hero as anything, but we’ll call him the good guy. He has a large bounty on his head, which has attracted a diverse array of hit squads, but their on a time limit. The bad guys hunt down the good guy. The good guy just needs to survive long enough to make the hunt for him effectively pointless. Of course, there are wrinkles thrown in that heighten the stakes of the chase for both sides. But these plot twists serve the simplified storyline, while playing directly to the main character’s own goals. There is no extraneous material here. And it only took me two paragraphs to say that. It’s a near-perfect thriller as far as I’m concerned, the very definition of a page-turner. Violent action abounds, but so does a mountain of suspense. The good guy, while borderline superhuman (aren’t they all? ), also receives his fair share of punishment. He’s barely getting by in every scene, which leads to an excellent sequence near the end game where he is forced to seek medical attention in Paris late at night while surrounded by potential killers. Escapes and counter-moves are clever without being too clever, and they always carry deadly risk. I can’t speak for subsequent installments in The Gray Man series. I doubt anyone could easily recreate the “origin” story, if you will. 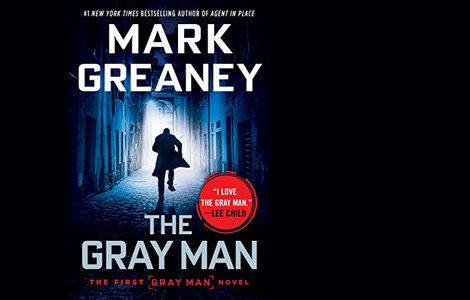 But, left to his own devices, Mark Greaney knows how to craft a great thriller.